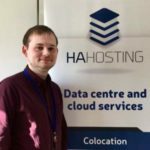 November 20, 2018 / Chris Allen / Comments Off on Backup – Can It Save Your Business? 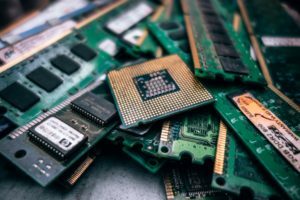 Will Data Loss Be The Downfall Of Your Business? Not having a backup strategy is never a good idea for a business. 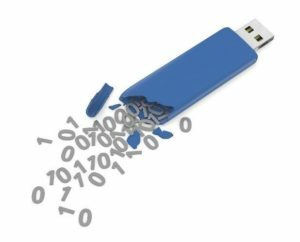 Data loss can be the cause of devastating issues for business of all sizes, with potentially crippling aftereffects. The worst part of data loss is that it can happen at any time, to anyone without any warning. Have you ever given any thought to what would happen to your business if you were hit by unexpected data loss? In a best-case scenario, it can be frustrating, and in a worst-case scenario the results can be devastating. Particularly if you’re business is dependant on that data, like databases of customer information or internal resources used by yourself or staff regularly. Imagine the potential cost, not just monetary but the potentially considerable time it would take to get back to your current point. Would your downtime cause new customers not to be able to use you? Or maybe existing customers might leave because they need the service regularly? The solution is quite simple. Backup your data. Backing up your data on a regular basis should be part of any business’, no matter the size, standard operating procedure. It’s one of the best ways of protecting your business’ data. This can be particularly important for small businesses where all your data could be stored on one machine or server. Can’t Backups Take A Long Time? This really depends on the amount of data that needs copying over, but initially yes. However, most backups after the initial backup will only copy over any additional changes from the data it already has, meaning the backup time will be significantly lower. Plus, it’s worth considering if the time you’d save by not doing backups outweighs the time you’d lose if significant data loss did happen. I Already Backup My Data Locally. Now while these happen to businesses on very rare occasions, they can happen. So if this isn’t the safest solution then what is? Externally Backing Up Of Course! This involves backing up data on to physical components such as, hard drives, and moving them offsite, your backups are then as secure as the place you keep them. Having them locked away in a vault guarded by laser sharks will obviously keep your data safer than if you keep a hard drive in a drawer at home. The Downsides to this are that physical backups need someone to manually perform and oversee them. Also even when taken somewhere are still susceptible to damage, loss and theft. Convenience: It’s much more convenient to send data over the internet rather than physically moving it. Unlimited Storage: Cloud servers have the potential for an almost unlimited amount of data, so you won’t have to worry about running out of space. Security: Data can be encrypted before hand so that it will remain protected through all the stages of transfer and storage. Cost: This can often be much cheaper than having to buy a lot of your own hardware and storage space. The downsides of cloud backups are that you usually need to have a fast and reliable internet connection in order to make the use of it effective. A slow connection could mean a complete restore of a system could take days! Speaking to a cloud server provider will let you know if it’s worth using it or not. This entirely depends on you and your business, how much data you create and how dependant you are on that data. For example, a small local shop who only do a small number of transactions a day would need considerably less backups than a huge corporation who deal with thousands of people a day. You need to look at your business and think about how devastating it would be if you lost, let’s say a week’s worth of data. Would this cripple you? Could you easily recreate the data? Can you still function as a business without it? Whatever the time frame, we recommend keeping backups as regular as you can to avoid any issues at all. Once you’ve decided on a backup system that’s right and works for you, the next thing to keep in mind is to test it regularly. This is another added security step; make sure it all works with your current/any new hardware you might have. Believe me you’d rather find out you need to change something now rather than trying to backup in an emergency only to find there is something stopping it! How Much Value Does It Provide me? Again, this very much depends on your business, it’ll be different for everyone. The best way to determine this is to think about how data loss would affect your business. How long could you operate without it? Could you recreate the data? If so, how long would that take? How heavily do you depend on the data that’s missing? When you can answer those, you’ll have more of an idea of the value backups have to you. A data centre is a place where the infrastructure and security are already set up professionally. They’ll be able to make sure your data is kept safe and sound. This option can often be cost effective and can also make the backup procedure much simpler, as you’ll be in the hands of experts who do this every day. If you would like to learn more about what we do here in our data centre then you can get in touch with us here. Alternatively you can also message us on our Facebook Page and we’ll get back to you there as soon as we can.